You’re a health-conscious person, but have you noticed any new cravings lately? Brownies, perhaps? Maybe macaroni and cheese? If you have, don’t blame yourself. Most likely, you’re responding to the season and the colder temperatures. There’s no doubt that we’re vulnerable to experiencing cravings for high-calorie and high-sugar foods during the winter months. Researchers have also found that the risk for winter weight gain is real. How can you get through this time of year without giving in? We’ve got some tips for you. Why Do Cravings Hit Us in the Winter? First of all, remember that during the winter months, you’re exposed to less sunlight. The sun spends less time in the sky, and winter weather also tends to cover up its warming rays. That’s not good, because serotonin — the “feel-good” neurotransmitter in the brain — is affected by exposure to daylight. When we have enough serotonin in the brain, we feel positive and calm. 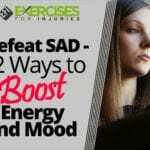 When those levels drop, such as they can when we don’t get enough sun, we feel a lack of energy and, sometimes, a low mood or even symptoms of depression. 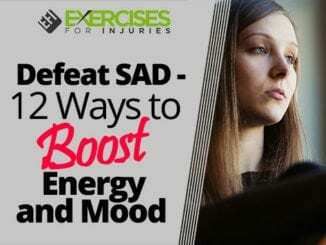 You’ve probably heard of seasonal affective disorder (SAD), which affects many people in the winter months. Scientists believe it’s tied to a lack of sun exposure and have found that light therapy helps. But if you’re not getting out into the light, your body will try to fix the situation in another way — by initiating cravings, particularly for carbohydrates, which helps increase serotonin release. Studies have found that low levels of another neurotransmitter — dopamine, which is associated with pleasurable rewards — can also lead to cravings. When we don’t have enough dopamine, we reach for something that will make us feel good, like a donut or a piece of cake. When we eat it, we feel better, at least temporarily. Researchers have actually found that both serotonin and dopamine levels vary in people depending on the season, so when those cravings come on, realize that it could be because of the chemicals in your brain. Why do we reach for sugary, fatty foods or carbohydrates? These are the foods that make us happy, so they stimulate the release of good-mood neurotransmitters and endorphins. Chocolate, for example, naturally helps boost endorphins — those “pain-relieving” substances that are responsible for the “runner’s high” — which help us feel better. Carbohydrates do the same thing. 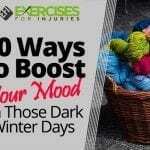 In addition to the lack of sun and the changes in neurotransmitters, we may also feel less exuberant during the winter because of the weather. You know how energized you feel when the summer sun is out, and you can go outside and play. The winter weather can make you feel sluggish and tired, so it’s easier to reach for food to help perk you up. There are other reasons for those cravings. The winter months bring on a lot of holidays and parties. We like to get together with friends and loved ones and have some fun during this dreary time of year, which is a good thing. The problem is that most social events these days include food and a lot of it. It can be easy to indulge too much. Then, there’s the time change. As we “fall back” and daylight saving time ends, we can have trouble adapting and that can affect how well we sleep. If you don’t get a good night’s sleep, your hormones react, including those hormones that affect how hungry or how full you feel. Usually, if you’re sleepy, your hunger hormone ramps up and, again, you crave more food. In a 2013 study by University of California Berkeley researchers, participants who experienced a sleepless night were found to crave unhealthy snack and junk foods the next day. “High-calorie foods also became significantly more desirable when participants were sleep-deprived,” said lead author Matthew Walker. Then, there are our ancestors. 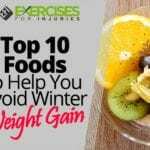 Some researchers believe that we still crave carbohydrates and extra calories in the winter because centuries ago, humans — like other animals — stored up on food in the fall and early winter months to keep themselves warm and to increase their odds of survival. Of course, we have central heating now, but we still feel the cold, which is why warm, starchy carbohydrates that burn off quickly in the body and give us a feeling of heat, are so tempting. Salad just doesn’t do it. So, as you can see, there are many reasons why those cravings may hit you this time of year. Unfortunately, it’s not wise to give in — at least not most of the time. Here’s why. Yes, we gain weight over the winter. Every year. In 2016, researchers from Cornell University found that holiday weight gain is real all around the world. They looked at the weight patterns of about 3,000 participants in the United States, Germany and Japan. They found that weight began to go up in October, continued through the holiday season and peaked about 10 days after Christmas. 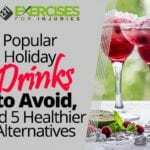 In an earlier study, researchers found that holiday weight gain was not reversed during the spring and summer months, which means that it contributes to the gradual increase in body weight we all experience from year to year as we age. In a 2016 study, more than three-quarters of women gained weight between the age of 18 and middle age and, in an earlier report, researchers indicated that Americans gain on average about 3 to 4 pounds every 4 years. It may not seem like much, but it can make a difference. If you keep gaining year after year, you increase your risk of a number of diseases, including heart disease, type 2 diabetes and cancer. In fact, in a recent study by the Centers for Disease Control and Prevention (CDC), researchers found an association between being just 11 pounds overweight and a higher risk for 13 types of cancer that are associated with overweight, including brain and breast cancer. You already know that gaining weight isn’t good for your health. 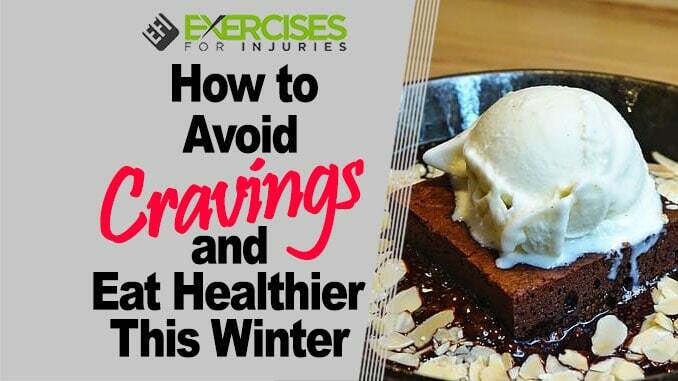 The question is: How can you get around your cravings this fall and winter to avoid it? Get outside for at least 10 to 15 minutes on most days so you can get some exposure to the sun. Exercise more. 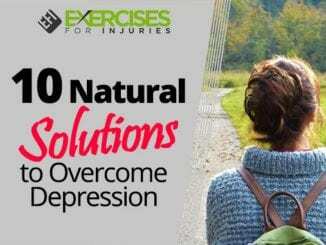 Exercise naturally boosts levels of good-mood neurotransmitters and endorphins to help you feel better without food. Sign up for a dance class. Get together with friends to play some tennis or racquetball. Get into some winter sports. Walk the mall. Use some at-home exercise videos. Just move. Sleep well. If you’re having trouble sleeping, talk to your doctor. Meanwhile, keep your room cool and dark and free of all technology, do something quiet in the hour before bed and go to bed and get up at the same time every day, even on weekends. Work some fun into your day. We often reach for food to help ourselves feel better. Find new ways to do that. Put on your favorite tunes. Set up a fun game indoors, like a Nerf basketball net or something. Get together with friends more often. Make a point to do something fun every day. Now, let’s look at how you can change up your diet to make sure you’re not overdoing it on calories. Try these tips. There’s nothing wrong with reaching for a hot bowl of creamy soup or a warm casserole during the cold winter months. These foods help us to feel warm and cozy. Unfortunately, they’re usually also high in calories and fat. Variety is the spice of life, as they say, and if you bring some new foods into your diet in the winter, you’ll likely enjoy eating more, which can help you avoid cravings. Winter produce that’s actually in season is also a terrific option for turning up your nutrition and boosting the immune system. Looks for things like parsnips, turnips, acorn and butternut squash, Brussels sprouts, cauliflower, cabbage, beets and pumpkin, and add in some winter fruits like grapefruits, pears, pomegranates and persimmons. Of course, baked apples are great at this time of year. Salads are very good for you, but they aren’t very comforting in the winter. You can make them heartier and warmer by changing them up. Look beyond the veggies you usually use. Try some celery, goat cheese, nuts, raisins, mushrooms, avocados, lentils and even some whole grains to make your salad a warmth-inducing meal. Some good options include quinoa, brown rice and farro. Pump up the warmth a bit more by adding some roasted veggies, toasted nuts, grilled chicken or crispy chickpeas. You can even add in some roasted butternut squash cubes, slices of pumpkin or baked acorn squash. Soup is typically a great low-calorie option unless it’s full of cream and red meat. Keep it healthy by making a hearty, veggie soup with just a little meat for flavor. If you want it heartier, add some whole grains like quinoa or farro or some white beans or cannellini beans. The produce aisle in the winter can look a little anemic at times. Don’t be afraid to go frozen. Flash-freezing produce preserves its nutritional value, sometimes to the point that it’s superior to fresh. Just make sure there are only vegetables in the bag — avoid the sauces, sugar, flavors and preservatives. Spices can make a boring meal a lot more enticing — and warmer. Some good spices to use this time of year include nutmeg, cinnamon, paprika, cumin, ginger and chili powder. The more you use them, the more flavor you’ll enjoy, plus you’ll get the health benefits too. Spices are full of antioxidants and other compounds that can help boost the immune system and reduce your risk of suffering from the common cold or flu. It’s easy to consume fruit in the warm months. The juicy, cold feel on the tongue is great that time of year. But, in the cold, we don’t turn to them as much. To get more fruit in your daily diet, make them into desserts. Bake some apples, make a fruit salad or drizzle a little bit of chocolate syrup over your favorite cut-up varieties. Pull out your oatmeal cookie recipe, but use less sugar when you add bananas and raisins. Bake more fruit pies (look for recipes that cut back on the fat), and experiment with new banana bread and carrot cake recipes that are higher on the nutrients and lower on the fat and sugar. Look for crumbles and crisps you can make, and don’t forget the cobbler. All these options — if you find healthy recipes — can help you get more fruit in your winter diet in yummy ways. You can stop your cravings from starting by powering up your breakfast. Bring up the protein content with some oatmeal, eggs or Greek yogurt, or add some nuts to your warm cereal. It’s also smart to make breakfast something warm rather than something cold — it will start you out feeling satisfied and cozy, which will help you avoid cravings all morning long. If you experience a craving despite all your efforts, think “beverage” before you think food. Hot tea, hot coffee and other hot drinks can help soothe that desire for something tasty and warm. All types of tea are good for you, so go for your favorites, or choose the heartier types like rooibos, dandelion root, black teas and apple and cinnamon flavors. Coffee also has a number of health benefits, so if you’re not sensitive to the caffeine or the acid, help yourself. Just avoid all the creams and flavorings. If you’re longing for something creamier, try warm almond milk with some of your favorite spices if you like or make your own tea latte with black tea and heated low-fat milk. Hot apple cider is also a good option. In the summer heat, you’re likely to want water because it refreshes you. In the winter, though, we often forget to drink enough water. Even slight dehydration can make you feel tired and can also increase your cravings. You may think you want food when really, you’re thirsty. It can also be easy to run low in the winter months when heaters sap the air of moisture. Add some lemon or other fruits to make your water more appealing, or try heating it up and adding a bit of honey. If you feel a craving, drink a tall glass of water before you give in. It may help you resist. 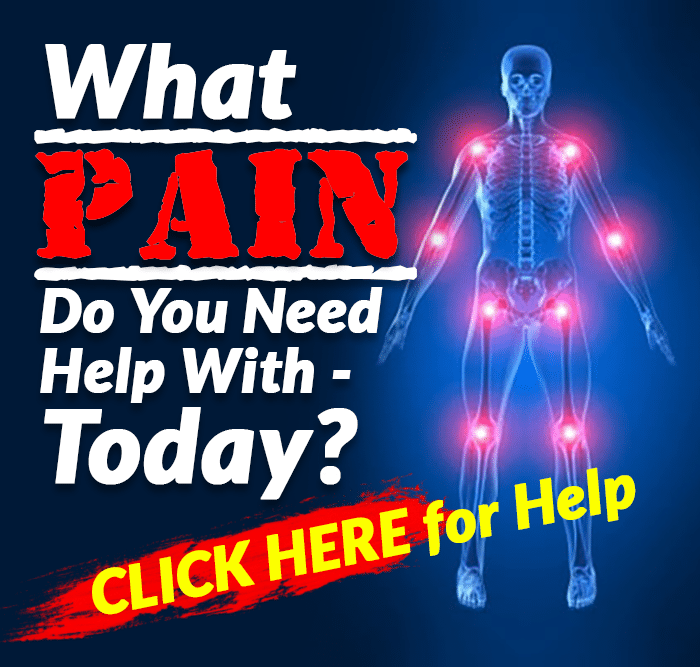 Cal Krusick, “Do You Have Excessive Food Cravings? Low-Levels of Dopamine may be the Problem,” Natural Healthy Concepts, March 5, 2015, http://blog.naturalhealthyconcepts.com/2013/03/05/do-you-have-excessive-food-cravings-low-levels-of-dopamine-may-be-the-problem/. Michele Solis, “With the Changing of the Seasons: Dopamine and Mood Cycles,” Scientific American, March 1, 2011, https://www.scientificamerican.com/article/with-the-changing-of-the-seasons/. Yasmin Anwar, “Sleep deprivation linked to junk food cravings,” UC Berkeley, [Press Release], August 6, 2013, http://news.berkeley.edu/2013/08/06/poor-sleep-junk-food/. Elina E. Helander, et al., “Weight Gain Over the Holidays in Three Countries,” N Engl J Med., 2016; 375:1200-1202, http://www.nejm.org/doi/full/10.1056/NEJMc1602012. Jack A. Yanovski, et al., “A Prospective Study of Holiday Weight Gain,” N Engl J Med., 2000; 342:861-867, http://www.nejm.org/doi/full/10.1056/NEJM200003233421206. Yao Jie Xie, et al., “Changes in Body Weight from Young Adulthood to Middle Age and Its Association with Blood Pressure and Hypertension: A Cross-Sectional Study in Hong Kong Chinese Women,” J Am Heart Assoc., January 2016; 5(1):E002361, https://www.ncbi.nlm.nih.gov/pmc/articles/PMC4859358/. Denise Dador, “Report: Americans gain 3-4 lbs every 4 years,” ABC News, June 22, 2011, http://abc7.com/archive/8207670/. Brooke Steele, et al., “Vital Signs: Trends in Incidence of Cancers Associated with Overweight and Obesity—United States, 2005-2014,” CDC, Morbidity and Mortality Weekly Report (MMWR), October 6, 2017; 66(39):1052-1058, https://www.cdc.gov/mmwr/volumes/66/wr/mm6639e1.htm#contribAff.